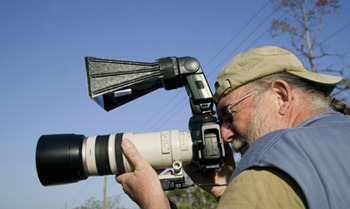 The Wimberley Head is a specialized tripod head for telephoto lenses. Its gimbal-type design allows you to rotate your lens around its center of gravity and thus easily manipulate very large lenses. Since its introduction in 1991, the Wimberley Head has become the industry standard for serious nature photographers. 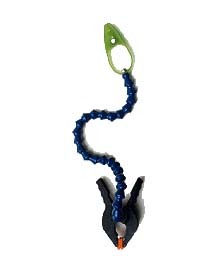 The Wimberley Head Version II offers the same stiffness, capacity, and fluid movement of the old version in a more compact and lightweight package (it is one pound lighter and about two inches shorter). The head’s redesigned panning base has zero play, and the pan locking knob has been moved to the side of the head, thus allowing the user to easily operate both knobs with the same hand. New lobed “soft-touch” knobs provide a more comfortable grip and perform better when using gloves. In addition to the above improvements, Wimberley has examined all aspects of the head, tightening tolerances, improving friction materials and so forth. Whimberley's goal has been to make this head functionally and aesthetically better in every way than the old version and competing products. Simply slide the Sidekick into the quick-release of your ball head. The Sidekick's elevated tilt mechanism and side-mounted quick release allow the lens to rotate around its center of gravity. This provides the same action and ease of use found in the original Wimberley Head at greatly reduced size, weight, and cost. Remove the Sidekick and your ball head is ready to use with smaller lenses. 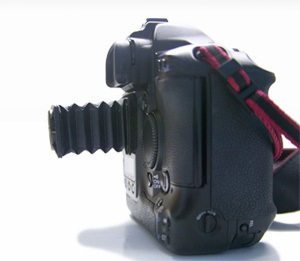 The Plamp is an easily positionable arm used to hold macro subjects and other useful objects. One end of the Plamp clamps to your tripod while the other grasps the object. Use the Plamp to stabilize windblown subjects, adjust the position or angle of your subject, or move obstructing foliage. You can also use the Plamp to hold reflectors and lens shades. One day in the field with a Plamp and you will begin to realize its full potential. This bracket consists of modules M1, M2, & M3. The most versatile of Whimberley's telephoto brackets, it attaches to the quick-release plate of any lens. It can be used on a ball head or the Wimberley Head, or can be reconfigured to work on the Sidekick. Add other modules to this bracket to add macro capability (see below) or to form a quick-flip wedding bracket. This kit consists of the F-1 Telephoto Bracket and M-4 Macro Arm. This versatile set of components allows you to form either the F-1 Telephoto Bracket or the F-2 Macro Bracket (page 19). Note: You cannot form both brackets at the same time. 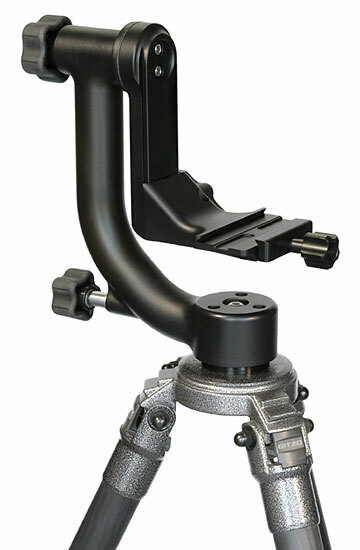 You can also also attach the M-4 Macro Arm to the top of the telephoto bracket for added reach and positionability. This bracket consists of modules M3 & M5. It attaches directly to the swinging arm of the Old-Style Wimberley Head (not Version II). Since it is attached to the head and not your lens, it remains in place when you switch lenses. The bracket folds flat for easy storage. This bracket consists of modules M1 & M3. It positions the flash above the lens when using side-mounted gimbal heads such as the Sidekick. It is also useful as a small macro slider for making small forward-backward adjustments for macro photography. Replacement Fresnel lenses and/or Velcro bands are $13.50 each item, plus $1.00 shipping.